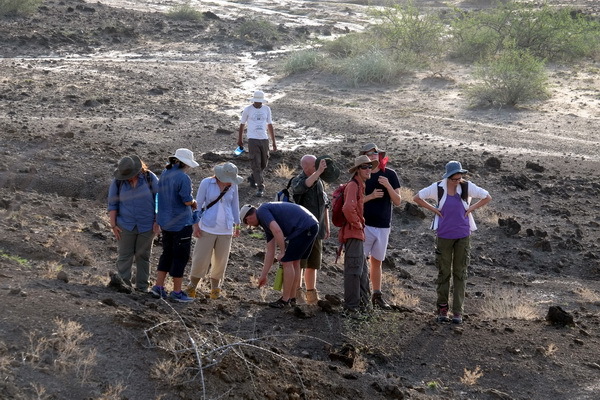 In the Geology module of the Origins field school, student learned about the earth’s history and how this history is recorded in the layers of sediment in the Turkana Basin. 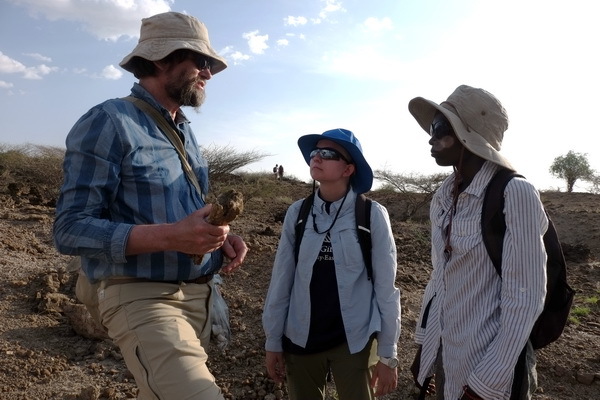 Now it is time to decipher the enigma of different plants and animals that lived in the history of the Turkana Basin millions of years ago. 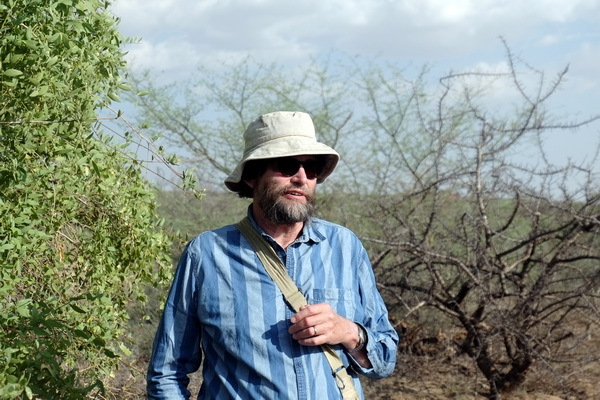 In the Paleontology module, we are honored to have Professor Mikael Fortelius from the University of Helsinki as our course instructor. 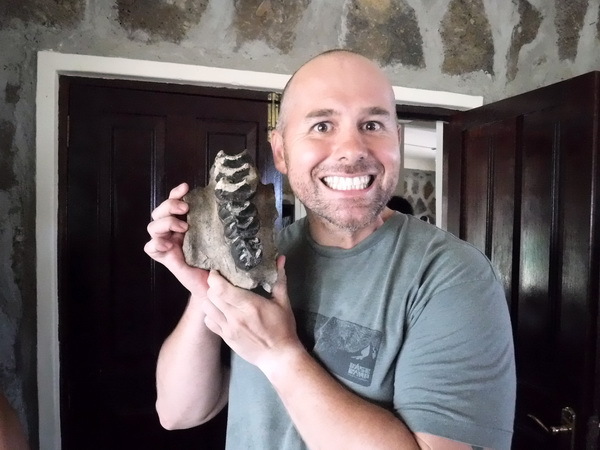 Dr. Fortelius is an influential scholar who uses fossilized mammal teeth to predict past local climates. 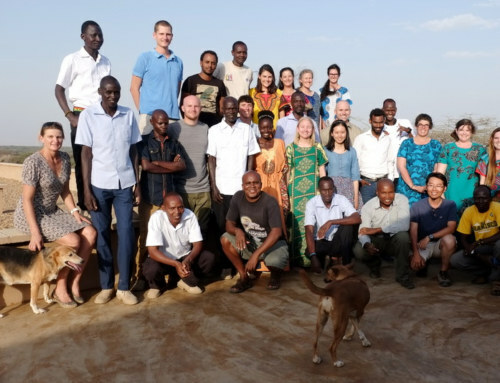 He has been working in Europe and Asia for many years and has extended his work to the Turkana Basin starting several years ago. 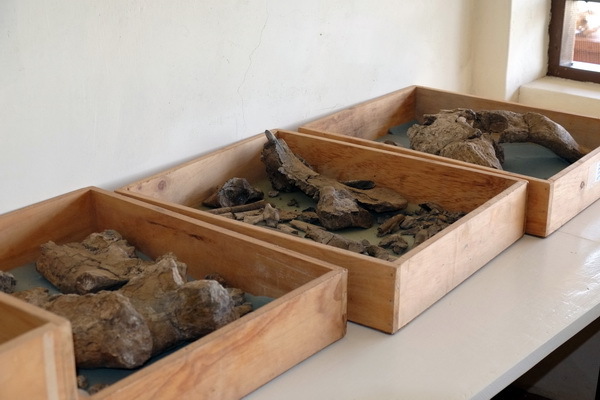 The study of paleontology is about fossils and what they can tell us about the evolutionary relationships among both fossil and living organisms. 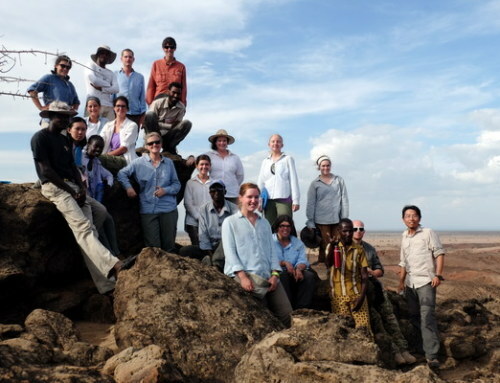 The Turkana Basin has been the research destination for many paleontologists because of its excellent fossil record, especially for fossil mammals. 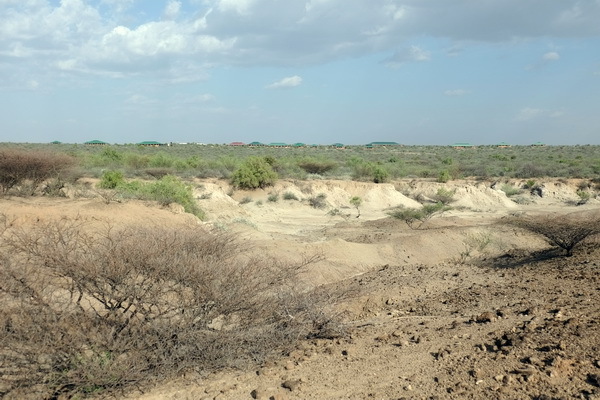 For example, major wildlife animals that we see today, such as various antelopes, hippos, elephants and their distant relatives, have been recovered from the Turkana Basin. 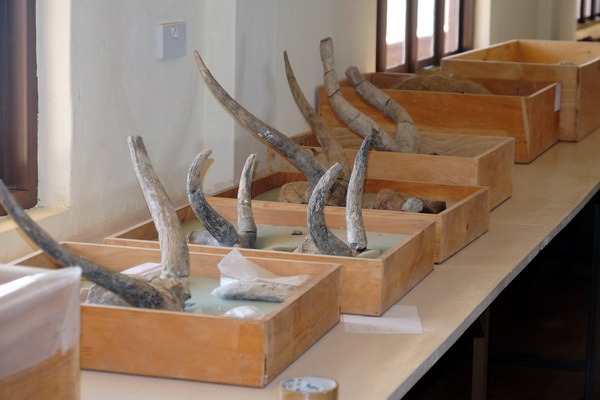 And on behalf of the National Museums of Kenya, the Turkana Basin Institute houses an extensive collection of fossil mammals! 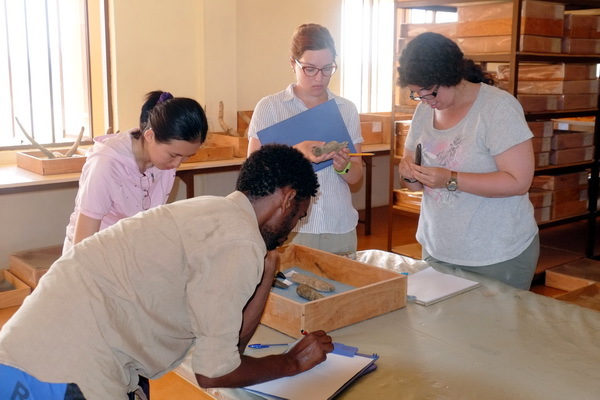 For a starter, we had a study session with some of the common mammalian fossils found in the Turkana Basin. 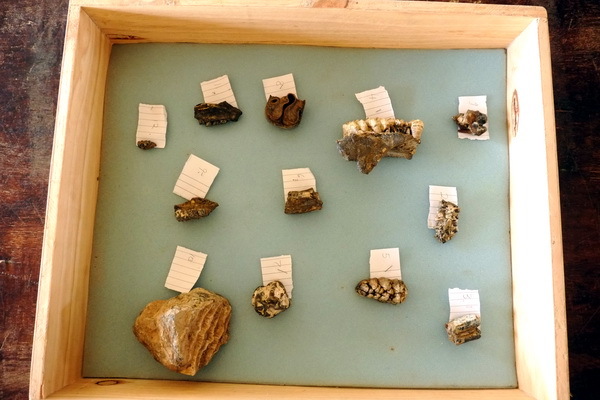 Among them are fossil teeth and limb bones that can tell a lot about the animals’ specific adaptations. Although it may take years of experience to recognize the different sizes and shapes of mammalian fossils, students seemed to pick them up pretty fast and certainly had a great time discussing their forms and functions. 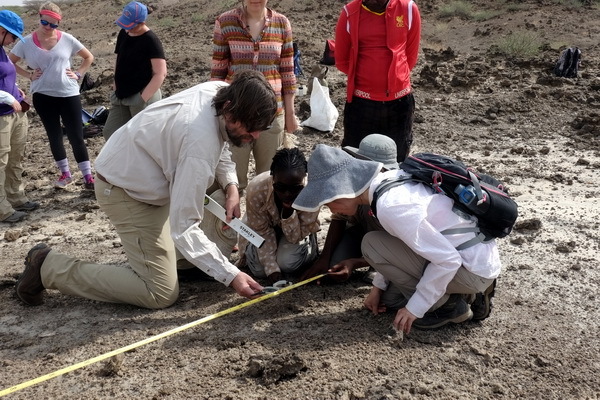 The purpose of the meet-and-greet session with the fossils is to prepare students for an extended field excursion that we did just a few days ago. 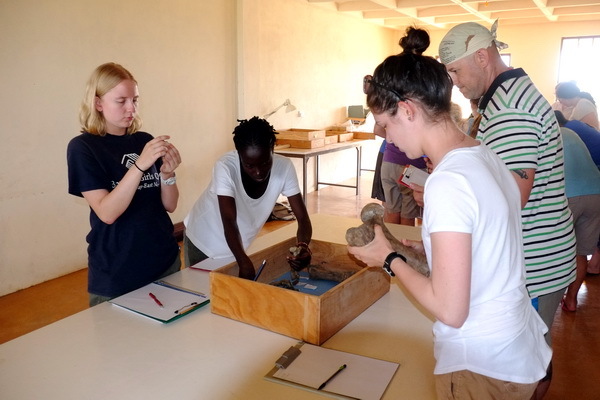 Students were all pumped and excited about being able to participate in the long-term research activities in the rich Ileret region that is littered with fossils! In the middle of a fossil survey! Leah found a hippo foot bone! 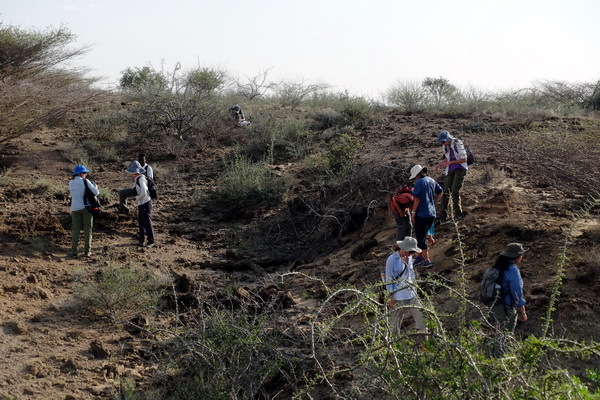 One of the goals of the Origins field school is to teach paleontological methods in the field such as fossil survey, field collection and excavation. 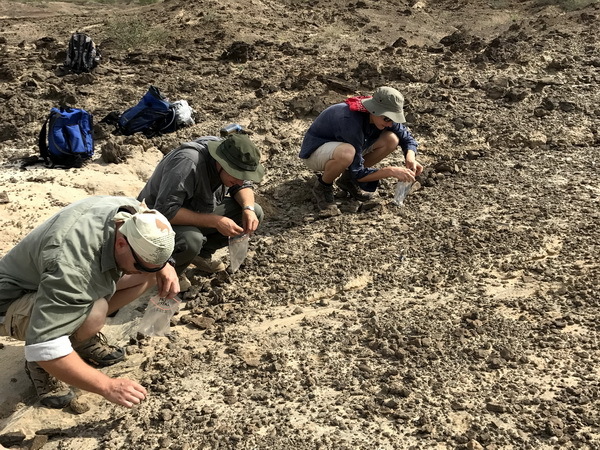 Students learned how to do a “hill crawl”, in which they were staying close to the ground, searched and marked fossils as they swept through an area where an important fossil specimen was found. 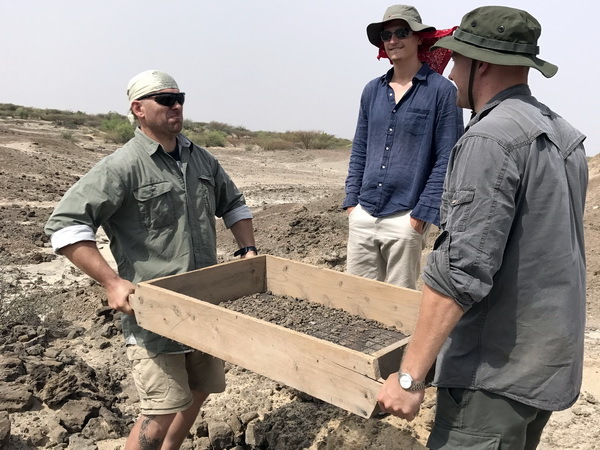 We also collected the surface sediments for a sieving exercise, in which small fragments of fossils were recovered from the sieve. 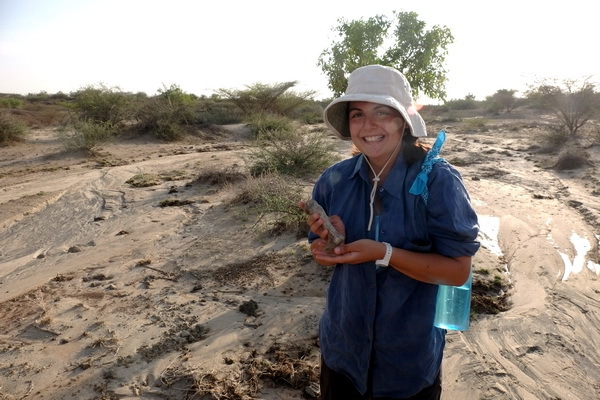 Students also found a hippo skull eroding out from a hill, which needed a small excavation. 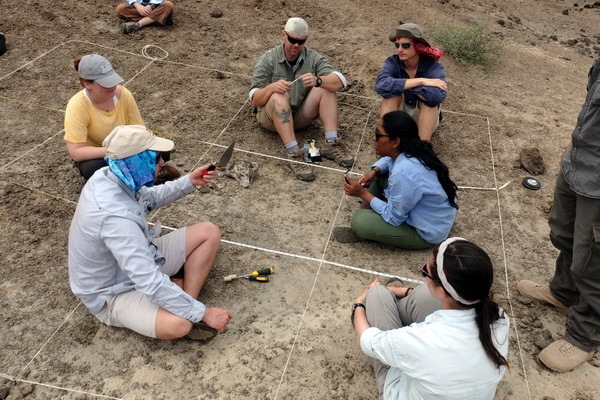 Following the collection protocols, students set up the grids and recorded the position of every single piece of fossil in the excavation ground. 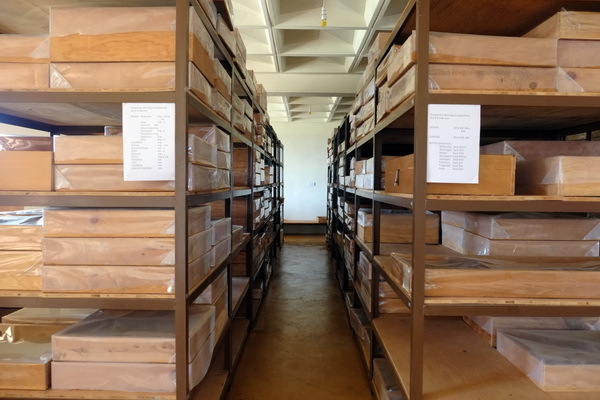 The pieces were then carefully collected for lab examination and preparation later in the module. 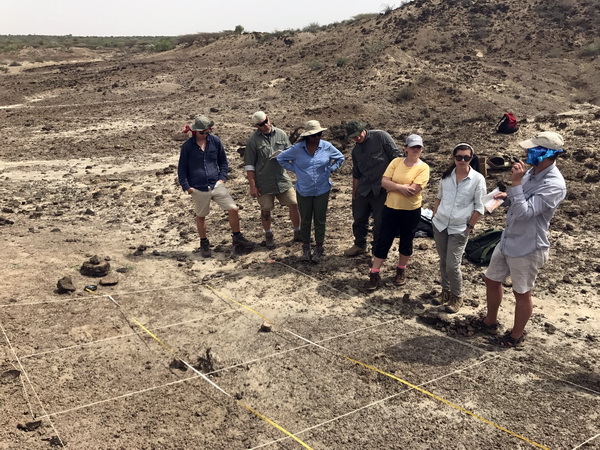 In this session, we are joined by Dr. Jason Lewis, Co-director of the Stony Brook-TBI field school programs and co-director of the West Turkana Archaeology Project, as an instructor in the excavation. 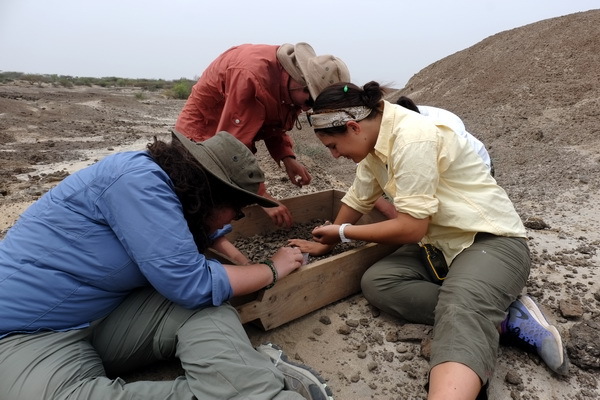 The excavation team proceeded, under the supervision of Dr. Lewis (front left). 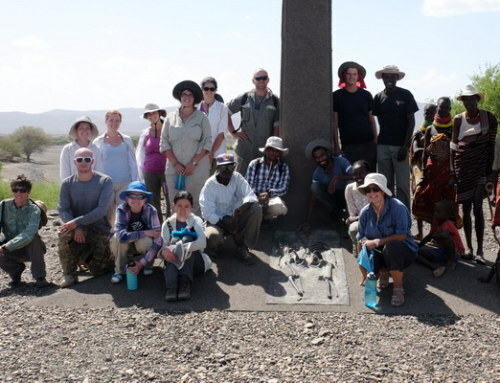 The excursion was very successful and students were all thrilled about the first-hand experience in the field. In the next few days, we will spend a bit more time in the lab learning about bones and teeth. Stay tuned! Starting this blog, we are introducing the “Student in the Spotlight” project. 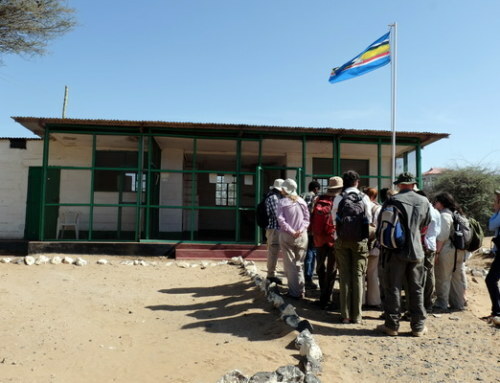 It is essentially a small section of the blog which allows one or two students (spotlighted) to share stories of their own and participate in the field school blogging. The featured student this time round is Tomislav Matokovic! Tom: I fought this beast for 3 days and 3 nights. Kids: Tom, but Deinotheriums went extinct long time ago.